In many ways, 2018 was a breakout year for SaaS (software as a service) companies. Fifteen SaaS businesses went public this past year, including such venerable names as Dropbox, Spotify and DocuSign. And one of these 15 companies, cloud management platform Elastic, is currently trading at more than double its IPO asking price. Despite a challenging fourth quarter for tech stocks, at the end of 2018, the 15 SaaS companies that IPO’d in 2018 were trading at a combined average of 29 percent above initial asking price, and the market for SaaS was poised to continue expanding. Gartner has predicted that by 2021, 45 percent of all money spent on software would be spent on SaaS. Further, it’s not only public SaaS companies that are providing exceptional value to users. We consulted software review site G2 Crowd, and its proprietary Grid Scoring methodology — a combination of customer satisfaction, popularity, net promoter score (NPS), and other factors — to determine the highest-performing SaaS companies in 2018 based on these criteria. 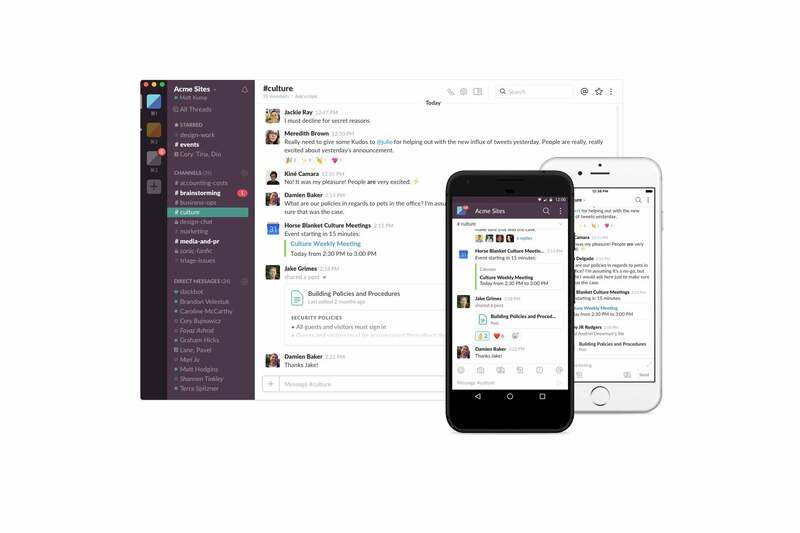 If you work with a team at a digital business, odds are that messaging app Slack needs no introduction. According to TechCrunch, Slack hit a threshold of 8 million daily users in May 2018. Though Slack is a fantastic messaging tool for keeping teams on track across time zones and oceans, it’s with the paid plan where Slack unleashes its real value. Slack retains conversations and files sent through the platform indefinitely, living up to its acronym: searchable log of all communication and knowledge. Evidently, a significant number of users agree: As of May 2018, Slack had 3 million users on its paid plan. Slack is expected by various observers, including Fast Company and Business Insider, to go public in 2019. Since its humble beginnings in 2004 as a site for selling snowboards, Shopify has grown to become one of the world’s most popular ecommerce platforms. Cloudways estimates that Shopify captures 8 percent of the global market share for ecommerce platforms. Shopify’s recent integration with Amazon has made the platform even more appealing for many ecommerce merchants. According to G2 Crowd, Shopify’s user satisfaction is very high. Over 2,000 users have reviewed Shopify, giving it an average 4.3 out of a 5-star rating. According to a recent study by Radicati, an average of 125 emails are sent and received by business users each day, for an overall total of 124.5 billion. Despite this tremendous volume, email marketing remains one of the most effective marketing channels for online businesses. According to Salesforce, it has been estimated that every dollar spent on email marketing has a return of $38. That’s a staggering ROI of 3,800 percent. There are a great many email-marketing service providers, but perhaps none more well-known and established than Mailchimp. According to Datanyze, Mailchimp has a 55 percent market share among email marketing providers, more than all its competitors combined. Over three-quarters of a million websites use Mailchimp for their email marketing needs. Along with its longstanding status as the industry leader, Mailchimp enjoys an enviable customer satisfaction rate. With over 8,000 reviews on G2 Crowd, Mailchimp averages a 4.3-star rating. For entrepreneurs just getting started with email marketing, Mailchimp offers a powerful “free-forever” plan that allows users to send up to 12,000 emails a month to 2,000 or fewer subscribersat no cost. Credited by some as having been the first “pure” SaaS company, Salesforce is also perennially among the most valuable. Fourteen years after offering the first-ever SaaS IPO in 2004, Salesforce posted 10.4 billion in revenue in 2018, a 25 percent increase over the 2017 fiscal year. Although the last quarter of 2018 was unkind to Salesforce’s stock price — a fate shared by many other publicly traded SaaS and tech businesses — the company still had a market cap of over $100 billion by mid-December 2018. As the market leader in customer relationship management (CRM)) and a company specializing in the attraction to and retention of customers, Salesforce, not surprisingly, is also considered one of the best places to work in the United States. After placing in the top 10 of Fortune’s 100 Best Companies to Work For list several times, Salesforce was this year named number one. One of 15 SaaS companies to IPO in 2018, SurveyMonkey has been helping businesses, since 1999, find out what customers are thinking. It is also one of the few SaaS stocks that debuted this year to close below its initial asking price. On Dec.18, it closed at $10.97, down from its IPO price of $12. Since early 2013, video-conferencing tool Zoom has helped bridge the distance between remote teams and enabled companies to meet their customers face to face across vast distances. According to its blog, a year and a half after launch, Zoom had connected over ten million users and welcomed 20,000-plus businesses to the platform. With adoption spreading like wildfire, it’s no wonder that Zoom achieved unicorn status with its first billion dollar valuation in January 2017, when it received $100 million in funding from Sequoia, according to ZDNet. Zoom’s founder and CEO is Eric Yuan, a Chinese immigrant who arrived in the United States in 1997, speaking no English. More recently, according to a profile in SV Business Journal, Yuan was named GlassDoor’s CEO of the year in 2018 and also garnered a 99 percent approval rating from past and present employees. Zoom is widely expected to IPO in 2019. One of two project-management tools on the list, Basecamp was also the very first software to be written using the now ubiquitous — and open source — Ruby on Rails programming language, according to Wired. Founder Tom Gonser is credited with inventing the electronic signature model back when he launched DocuSign in 2003, transforming the way agreements are executed. Despite a longer runway than many tech giants require, DocuSign was rewarded with a $629 million IPO in April 2018, according to Bloomberg News. The second project management SaaS on this list, Asana was initially developed as an internal tool for developing Facebook. Co-founders Dustin Moskovitz and Justin Rosenstein eventually left Facebook to focus strictly on the development of Asana. According to TechCrunch, Canva co-founder and CEO Melanie Perkins won’t be satisfied until every internet user in the world uses her product. Now, that’s a growth target any SaaS founder should be proud to aspire to.